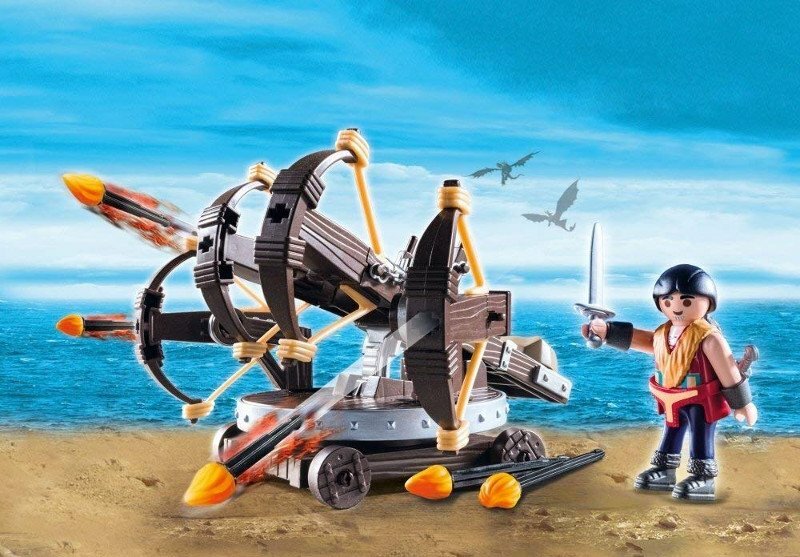 Eret is a fierce enemy to behold with his Ballista equipped with four crossbows. 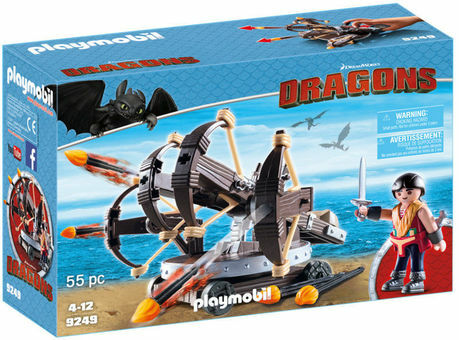 At first a dragon hunter working for Drago, Eret eventually switches sides and shows his loyalty by protecting his new allies with the help of his functioning ballista with fire arrows and a rotating platform. Set also includes Viking accessories.